Every year the Maryland Association of Nursing Students hosts a convention at one of the state's many nursing schools. The convention is a great way to meet other nursing students from all over Maryland. It is also the perfect occasion for networking with the many hospitals and vendors who attend. Who knows... with all of the opportunities available to you during our annual convention, you could land the job of your dreams! 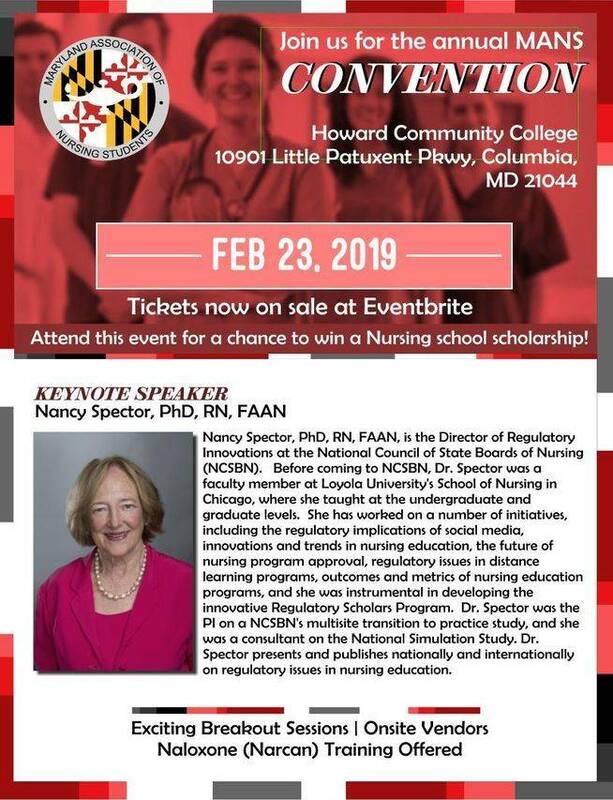 © 2018 Maryland Association of Nursing Students (MANS). All Rights Reserved.